Eastern Europe is becoming an increasingly attractive option for companies looking to outsource software development. And when we talk about Eastern Europe, the first country that comes to mind is, of course, Ukraine — the largest European country and the most significant software development powerhouse. 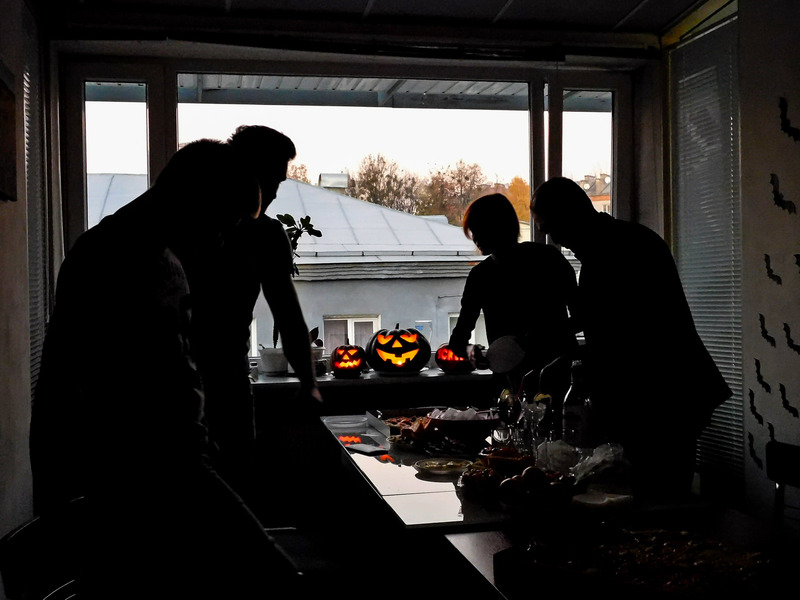 The Ukrainian IT sector is still at a relatively early stage but has already established itself as a hotbed of innovation, driven by the largest group of software engineers in all of Europe. Nearly 100,000 Ukrainian programmers serve thousands of companies as the demand for IT workforce is constantly growing on the global market (and 200,000 expected by 2020). Ukrainian outsourcing companies offer a wide range of engineering capabilities, with most companies having already switched to agile development over the past few years. The export volume of Ukraine’s software development and IT services reached at least $2.5 billion in 2015, showing double-digit growth year after year. The US market is the main destination with an estimated 80% volume of exported services, followed by UK, Germany and other EU countries, Israel, and Australia. Today Ukrainian IT sector reaches more than 1000 IT service companies. Moreover, Ukraine is home to over 100 R&D subsidiaries of global companies from a variety of industries, including telecoms, software, gaming, and e-commerce. From Cisco to Oracle, to Rakuten, to Samsung, more than a hundred global major tech firms conduct R&D activities in Ukraine, while an array of local IT outsourcing companies of all types and sizes serve clients worldwide. Here are five reasons that made Ukraine such a great outsourcing destination. Of course, this is #1 reason to consider outsourcing itself. That’s no surprise that in Ukraine you can get more quality for less money. Attractive prices and low taxes are the main benefits for investors, therefore their software development costs will be reduced to a large extent. Over the past year, Ukraine has significantly improved its status in international business venue rankings, while its taxes for IT-related businesses have remained relatively low. Ukrainian software companies offer virtually every possible software services including, but not limited to, software development, web and mobile development, quality assurance and testing, business process outsourcing, dedicated team outsourcing, research and development services, IT consulting and IT security management. The majority of the country’s large outsourcing companies offer full-stack solutions while specializing in a number of industries. Smaller software shops usually focus on a few services like web development and design, mobile app development and testing, working across many industries. A huge intellectual potential and affordable workforce offered by Ukraine could not leave the country unnoticed by both bootstrapping entrepreneurs and top corporations as the demand for IT services is steadily growing on the global market. Around 16,000 IT specialists graduate from Ukrainian universities each year. Plus, Ukrainian IT professionals have a very high level of English proficiency — in most IT companies this is a must for hiring. Since getting the independence Ukraine has been rapidly developing its infrastructure to provide the fast Internet connection and telecommunications to millions of users. Now millions of Ukrainians can use the World Wide Web to learn and share their experience in any activity including the latest trends in science, telecommunications, programming, web and mobile apps development, big data etc. Ukrainian IT specialists do not experience any problems neither with the Internet speed nor with the access to all hardware and software required to implement projects for international customers. The government is well aware of the importance of the IT sector for the country’s modernization and global integration. Important legislative changes are being made in the field of IP protection, in line with the 2014 Association agreement signed with the EU. IT service export regulations are set to be simplified, providing our international partners with more transparency and certainty in business. In 2017, EU approved visa-free travel for Ukrainians, which brings important benefits for businesses and citizens on both sides. This decision is an acknowledgment of the successful and far-reaching reforms carried out by Ukraine and a demonstration of trust to our country as a reliable and responsible partner. Screen Interactive is are a software development company specialising in custom web and mobile applications. Our development centre is based in Kharkov, Ukraine. If you need a development team for your projects, let’s get in touch! 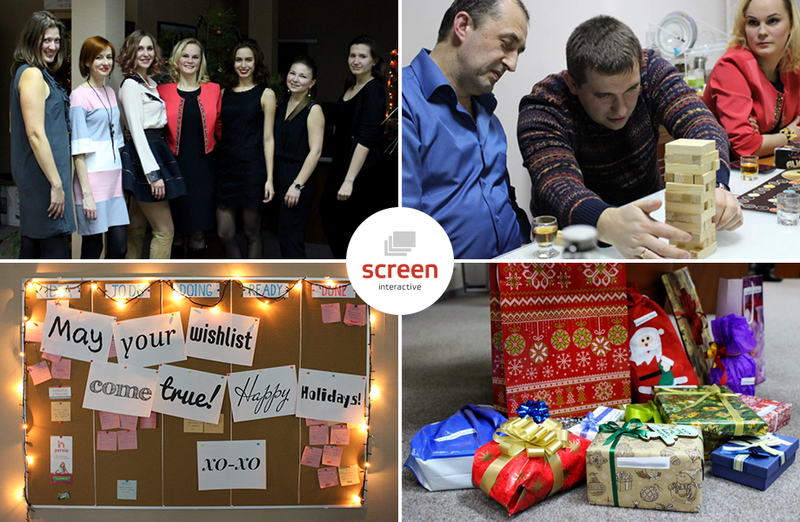 Screen Interactive team started to celebrate year’s end at the office. We played board games, talking and taking pictures near our beautiful Christmas tree. In addition, this year we started a new tradition and some time before the celebration we organized the drawing of lots for the Secret Santa. So, on celebration day each employee found a gift under the Christmas tree with his or her name from the «secret» congratulator. And the culmination of the evening was the stylish cowboy party in AltBier restaurant. Our team participated in competitions, learned basics of archery and enjoyed the live performance of local artists. Overall, the day turned out to be very interesting and fun, and, if you are a signs believer, it should be a good year. It is no wonder they say: “The beginning of the year sets the tone of its run”. 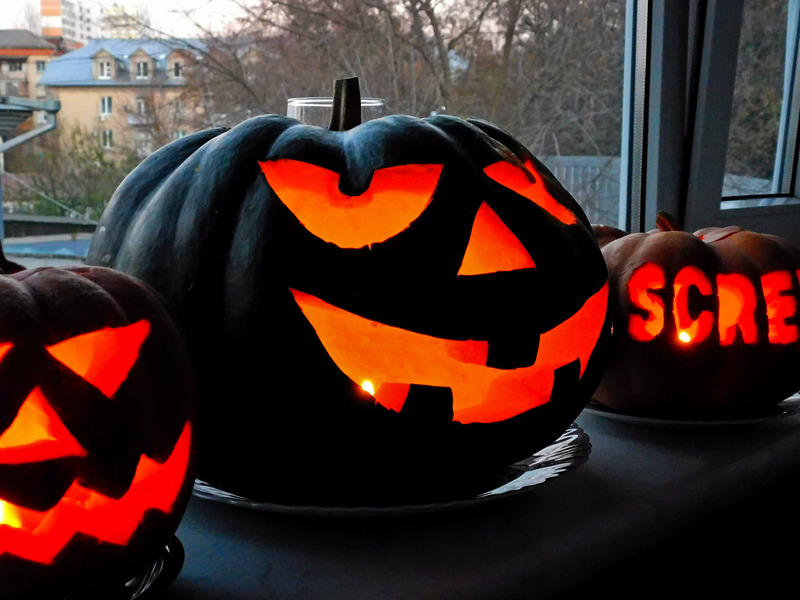 “Trick or treat?” A treat of course — we decided to tastefully celebrate the scariest day of the year — Halloween. 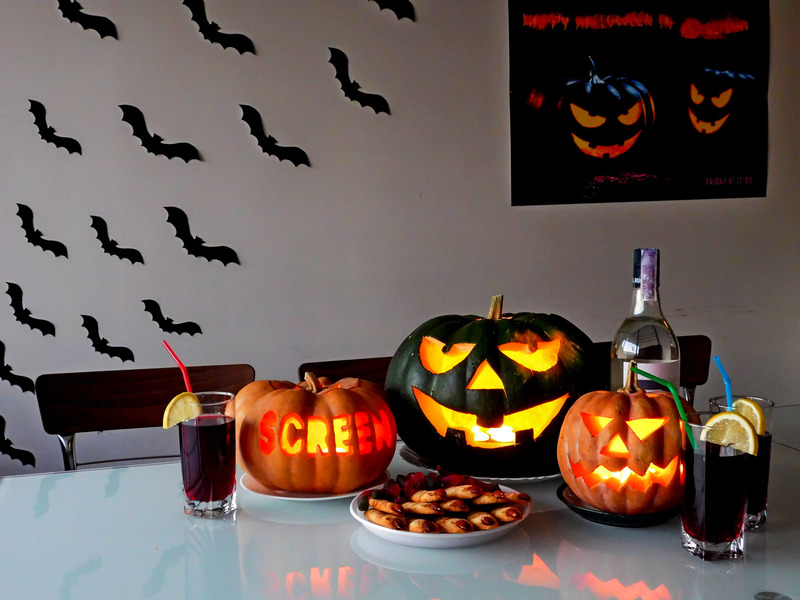 Treats were themed — “witches fingers” cookies and “the blood of the young programmer” cocktails. It was terribly delicious and fun! In late July, Screen Interactive team had a great time rafting on yachts. 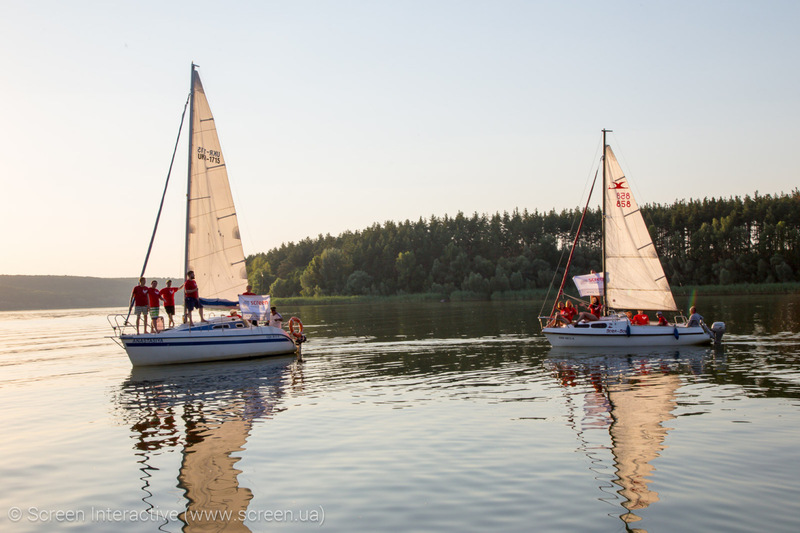 We spent the whole day sailing: we were sailing the Saltovskoe sea, diving, sunbathing, and few of us have tried themselves as a captain, and learned how to steer the yacht. Of course it has not been without a traditional photo shoot. We are pleased to note that from year to year the Screen Interactive team becomes even greater, and corporate events turn out to be in interesting formats. After active rest on the water, we docked the yacht and had picnic. 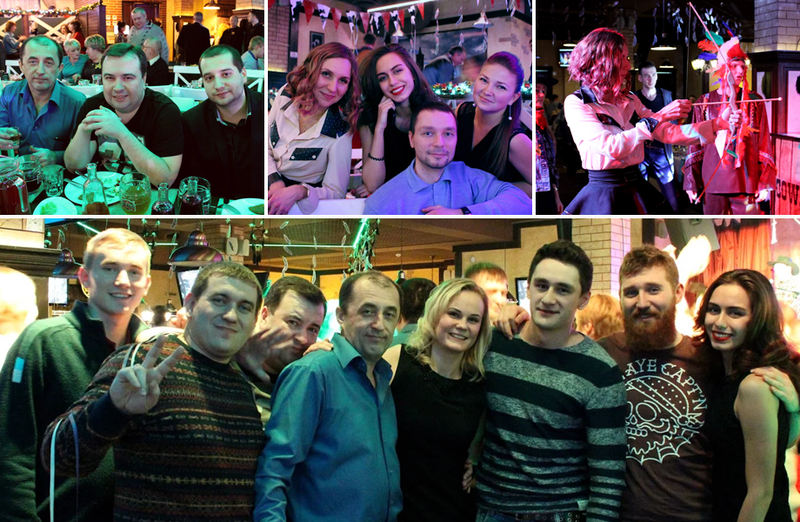 Despite the fact that the day was full of rewarded experience, the Screen Interactive team came back to Kharkiv refreshed, inspired and in a good mood. 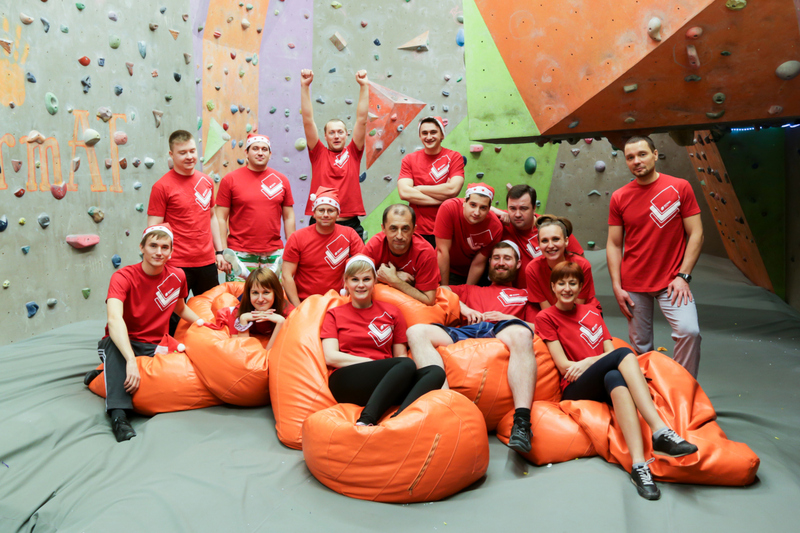 Screen Interactive team spends a splendid time in bouldering club before the New Year.